12 in x 25 yard roll. 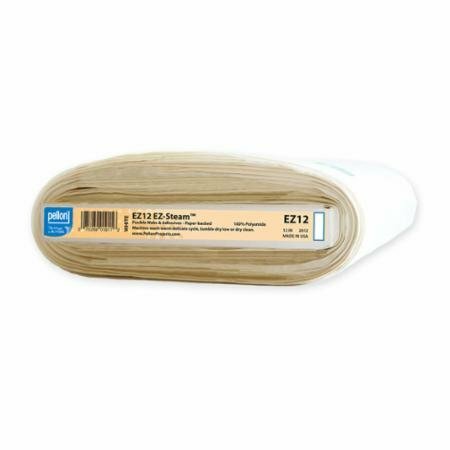 Pellon Fusible Web EZ Steam II Lite, Sold by the Yard, is just what you need for applying appliques to fabric. It is a pressure-sensitive fusible material with a paper backing. The adhesive is 12" wide. The material itself is machine-washable and safe for dry cleaning as well.